The Courtyard Nashua welcomes you to the Merrimack Valley with beautifully, fully renovated spaces, modern accommodations, and fantastic amenities. Our hotel is conveniently located near local attractions like Canobie Lake Park and Labele Vineyards; those in Nashua for work will enjoy easy access to corporations including Fidelity, BAE, Lockheed Martin, Dell, and PC Connection. Relax and unwind in one of our 234 guest rooms and five suites, which offer free Wi-Fi, well-lit desks, and deluxe bedding. Start your day at The Bistro, our hotel restaurant, with Starbucks coffee and a delicious breakfast, or enjoy a full bar and a dinner menu with tableside service in the evening. Additional amenities for your Merrimack-area visit include a fitness center and a newly renovated indoor pool and whirlpool. Located adjacent to the hotel, the Event Center Nashua showcases 14,000 sq. ft of indoor and outdoor space for your next meeting or social event. Discover a truly refreshing experience here at the Courtyard Nashua! Your food and beverage destination for refreshing breakfast choices in the morning, and a variety of beer & wine options in the evening. 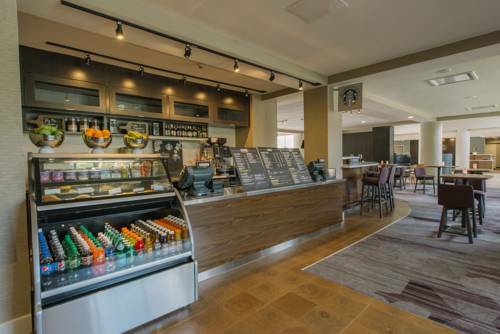 The Bistro also offers specialty beverages made with Starbucks coffee to help you get a jump on the day.